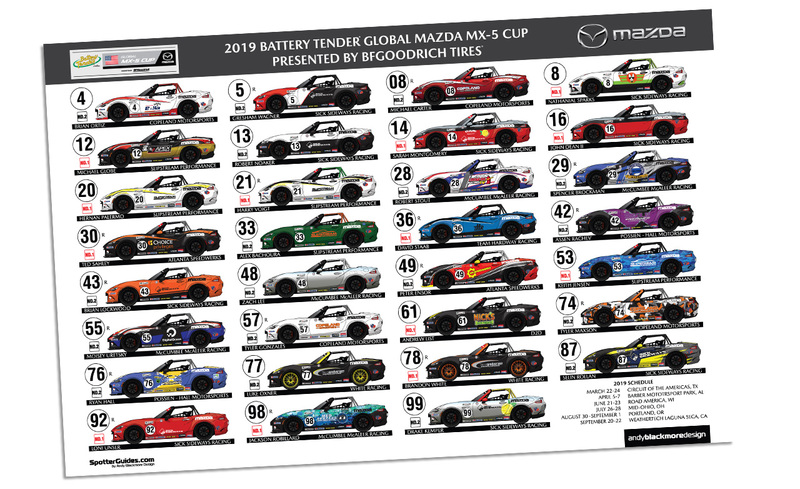 Welcome to an all new guide to SpotterGuides.com, the Battery Tender® Global Mazda MX-5 Cup presented by BFGoodrich Tires® Spotter Guide. This official season-long guide features all the full-time entries with their liveries and also displays which cars are ND1 (earlier spec car) or more powerful ND2. More details on the series are available at the official site. These races are part of the Grand Prix of Alabama weekend at the circuit. I also produce an official guide for the Lamborghini Super Trofeo Championship which is available HERE. Indycar also have their own excellent Spotter Guide HERE. 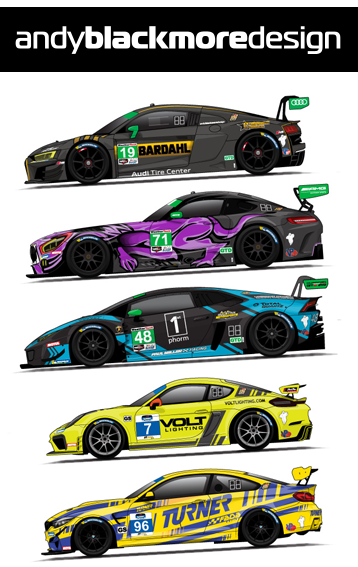 Thanks to Mazda for partnering on these new guides If you get a few seconds, please thank Mazda Motorsports on Twitter. Without their support, there would be no guide.